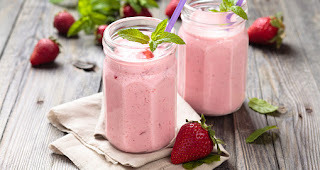 Living a Fit and Full Life: Shake360 Strawberry Shortcake Shake Recipe! This creamy and delicious strawberry smoothie is as sweet as it sounds. The best part? This tasty treat serves up a half serving of fruit and 21 grams of protein! Place all ingredients in the blender and blend until well mixed. Shake360 Strawberry Shortcake Shake is absolutely delicious. It's the perfect way to cool off on a hot summer day like today. I also love the added probiotics to keep my tummy happy. Of course the protein is also something I like about shake 360 because each packed contains a whopping 21 grams of protein. Try one today and find out what you've been missing! 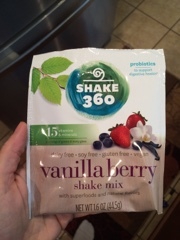 Click HERE to purchase Shake 360!